Do you want to foster young children’s love of learning and make a difference in their lives? Would you like to develop the skills and knowledge to make a difference for them, their whānau, and society? In this practical, field-based programme, you'll develop the skills required to become a competent, informed and reflective early childhood teacher who's committed to young children and their learning and development. We believe people learn through participation, so you'll value the experience and insight that you’ll gain from working in early childhood centres. There'll also be plenty of opportunities to relate these experiences to theory during campus sessions. These sessions will only require you to be on-campus for 1.5 days per week, making it managable for those coming from outside Auckland. Additionally, we can organise placements closer to your place of residence to avoid any unnecessary inconvenience. Best of all, when you graduate, you'll be eligible to become a registered teacher in licensed early childhood education centres. You must complete at least 12 hours (paid or voluntary) work experience per week during term time. If you're not currently employed, we can help you locate an appropriate centre. This can be at a centre close to your home. Year One: You will complete one 2-week practicum in your first term at the centre where you are, or will be, completing work experience. You will also complete one four-week practicum at the end of the year at another centre, chosen by Unitec in accordance with Teaching Council requirements. This can be at a centre close to your home. Years Two and Three: You will complete one five-week practicum per year at another centre, chosen by Unitec in accordance with Teaching Council requirements. This can be at a centre close to your home. 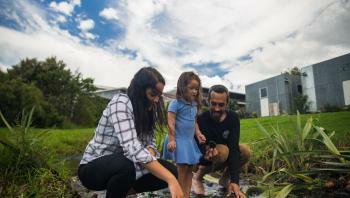 TeachNZ Early Childhood Education Scholarships: If you want to become an Early Childhood Education (ECE) teacher and you're passionate about Māori or Pasifika cultures, a TeachNZ ECE Scholarship may be just what you've been waiting for. We encourage early application as spaces are limited. 1. Check whether you meet our programme admission requirements, click apply now and fill in the application form. 2. We'll be in touch within 48 hours to discuss your application. If eligible, you'll be invited to a group interview. You'll need to bring two forms of ID and sit a basic numeracy and literacy test. Please note: If English is not your first language, you will need to supply evidence that you have achieved an overall IELTS (Academic) band score of 7.0 in each band. Note: If you do not meet the NCEA requirements and are above the age of 20, you may still be accepted by special admission. Don't meet some of the above requirements? 1. If you are over the age of 20 and don't have NCEA, you may be accepted by special admission. 2. If English is not your first language you will need to provide evidence of achieving an overall IELTS (Academic) band score of no less than 7.0 in each band of the test. 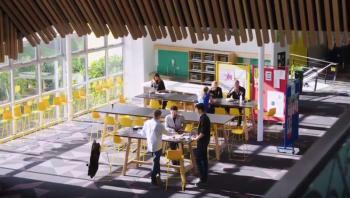 If you have studied in New Zealand for at least two years of secondary school and achieved the required literacy requirements or studied fully in English at a New Zealand or Australian tertiary education organisation, studied in a campus model of delivery in each year of your programme and graduated at Level 7 or higher, you don't need to meet an additional English language requirement. If English is not your first language, please see the Education Council website for additional requirements. 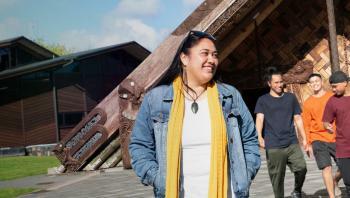 Te Kete Manaaki Tangata (EDUC5905) 15 credits (0.125 EFTS) To assist students to develop understandings of Maori values and tikanga through deepening understandings of Te Reo Maori me ona tikanga. Contexts of Early Childhood Education in Aotearoa/ New Zealand (EDUC5911) 15 credits (0.125 EFTS) To examine the social, cultural and ecological contexts of early childhood education in Aotearoa/New Zealand, including the bicultural nature of Early Childhood Education and the diversity of early childhood services. Partnership and Professionalism (EDUC5912) 15 credits (0.125 EFTS) To encourage the development of knowledge, skills and attitudes required for early childhood educators to work in professional partnership with whanau and community. Human Development (EDUC5913) 15 credits (0.125 EFTS) To describe and analyse theories of development, in order to gain an understanding of human development across the lifespan and its applications to learning in early childhood contexts. 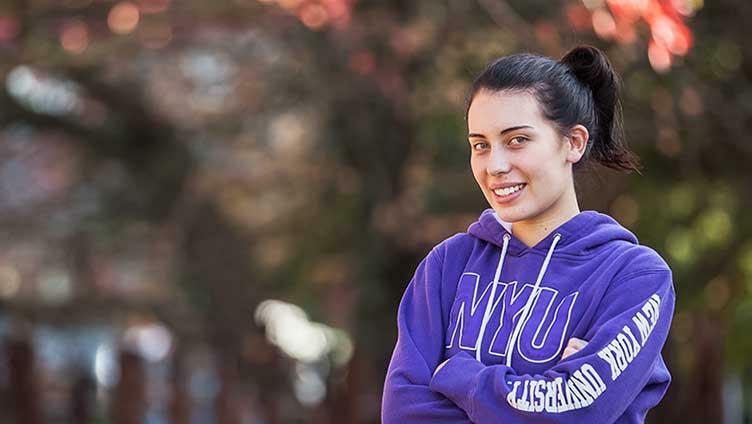 Academic Literacy for Tertiary Study (EDUC5914) 15 credits (0.125 EFTS) To explore a range of academic study, research, referencing and writing skills and tools in order to provide a foundation for research and study. Introduction to Curriculum and Te Whariki (EDUC5915) 15 credits (0.125 EFTS) To enable students to examine curriculum, observation, planning and assessment in Early Childhood Education including the relationship between play and learning for young children. Te Kete Manaaki Whenua (EDUC6905) 15 credits (0.125 EFTS) To further develop Te Reo Maori language skills, advance knowledge of Tikanga Maori, and develop students understandings of Manaaki Whenua and its application in teaching practice. Historical and Current Contexts of Early Childhood Education in Aotearoa/ New Zealand (EDUC6921) 15 credits (0.125 EFTS) To critically examine the history and current social and political status of early childhood education in Aotearoa/New Zealand and its impact upon centres especially in the Pasifika community. Curriculum Content Pedagogy (EDUC6924) 15 credits (0.125 EFTS) To enable students to critically examine theories and practices relating to curriculum content knowledge. Research and Research Design in Early Childhood Education (EDUC6927) 15 credits (0.125 EFTS) To critically assesses the quality of research underpinned by a variety of research methodologies, with a particular focus upon action research. Informed Work Experience (EDUC6929) 15 credits (0.125 EFTS) Examine and apply current approaches in Early Childhood Education assessment, planning and evaluation through participation in a work experience setting. Action Research Project (Self- Study) (EDUC7537) 15 credits (0.125 EFTS) To facilitate the implementation and reporting of an action research project in the context of an early childhood centre. Advanced Practicum (EDUC7539) 15 credits (0.125 EFTS) To consolidate and refine teaching practice, demonstrating practice informed by theory and leadership capabilities, in a practicum placement. Te Kete Manaki Taonga (EDUC7905) 15 credits (0.125 EFTS) To enable students to synthesise Te Reo Maori me ona tikanga in their teaching praxis, and articulate their understandings of manaaki taonga and its application in teaching practice. Policy and Discourse in Context: The Early Childhood Education (EDUC7931) 15 credits (0.125 EFTS) To critically examine social and educational policy, and contemporary discourses and issues relevant to early childhood education. Personal Pedagogy and Leadership (EDUC7932) 15 credits (0.125 EFTS) The course facilitates the development and justification of student?s personal early childhood pedagogical philosophy and to critically analyse ethical, professional and leadership issues guiding their practice. Advanced Curriculum and Pedagogical Documentation (EDUC7935) 15 credits (0.125 EFTS) To enable students to critically analyse and consolidate understanding of a range of curriculum issues and discourses. Advanced Work Experience (EDUC7939) 15 credits (0.125 EFTS) Engage effectively and critically in a range of professional practice and leadership strategies with the work experience setting.